The Conference marks the beginning of the partnership between Adsale and SPE in China, bringing together the leaders in additives and compounding professions. 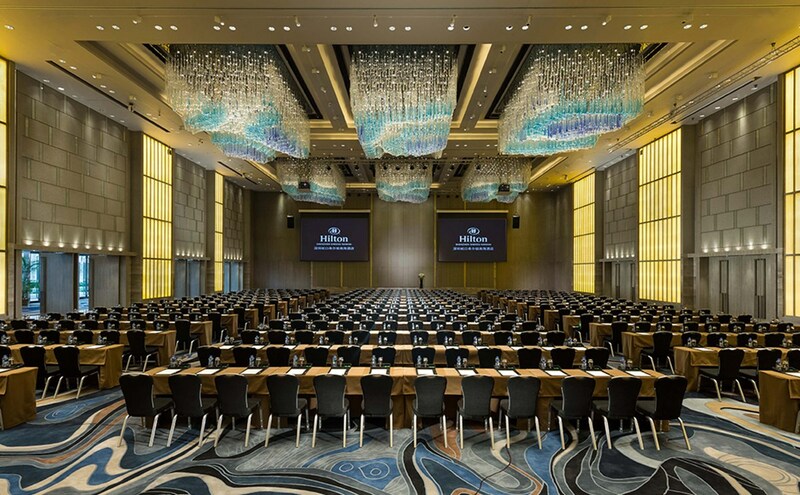 The Conference offers an unprecedented opportunity for attendees from reputable brand owners and converters to meet face-to-face with the leading technology providers and experts to exchange information and knowledge. 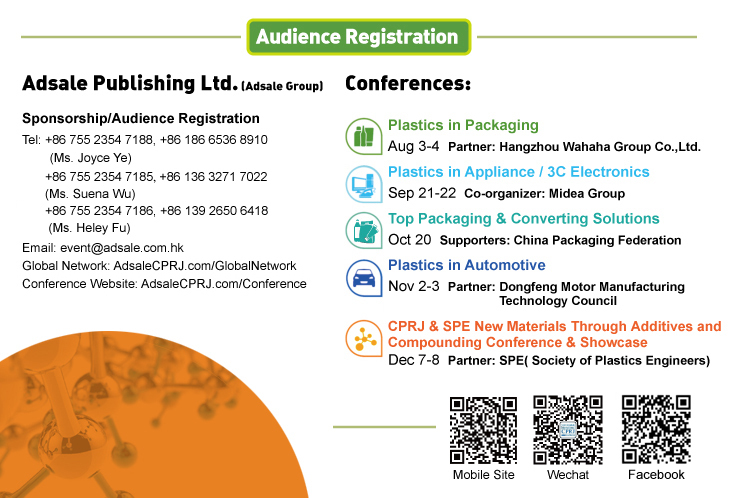 In addition, the conference continues to have support from CHINAPLAS, the Asia’s No.1 plastics and rubber trade fair that have 3000+ exhibitors. Wenbin Li - R&D Manager, MINTH Group Ningbo Taiyong Automotive Parts Co., Ltd.
Compounding supplier and processors, end product manufacturers in sectors such as automotive, home appliance, consumer electronics, wearable electronics, packaging, medical, aerospace, construction, rail, sports & leisure, toys, optical, cables, furniture, water treatment, etc. Chemical and raw materials/machinery and equipments suppliers. The Sea World at Shenzhen Shekou is a tourist attraction with the cruise ship "Ming Hua" moored alongside the dock and used as a floating hotel. The area is a very attractive and a meeting place for all walks of Shekou life. It features commercial, entertainment, food & dining, shopping and cultural dynamics in a spectacular setting. Hong Kong SAR is a cosmopolitan metropolis where old tradition blends perfectly with Western culture. It is one of the most culturally diverse cities in the world, and is known as the "Pearl of the Orient", "Paradise of cuisine" and "Paradise of shopping", etc. There are thousands of ways to explore Hong Kong SAR: glimpse the city from the Peak, take a ride on the tram, enjoy a harbor tour, discover the Disneyland theme park, etc. All you need to do is enjoy! Reminder: Please ensure that you have a valid Exit-entry Permit for Travelling to and from Hong Kong and Macao with a valid endorsement.